How will ICON get launched? 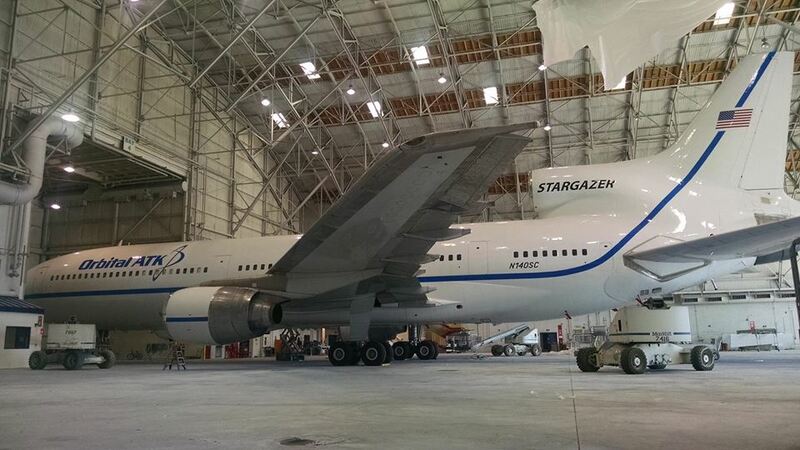 Stargazer was delivered to Air Canada in March 1974. 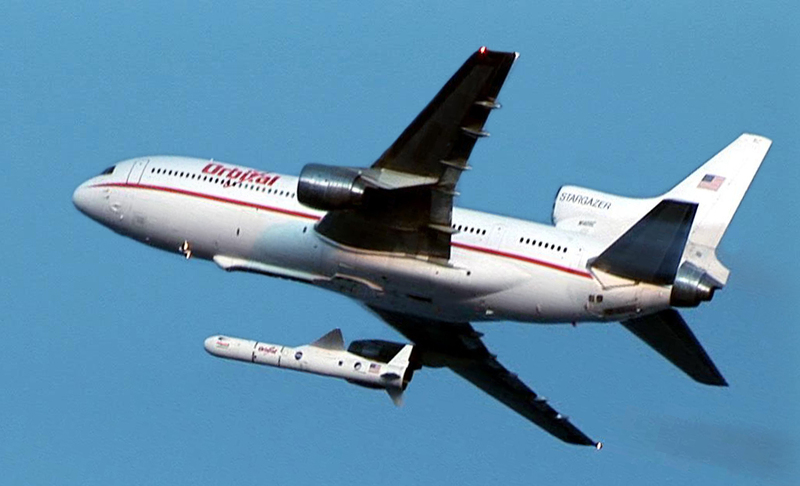 It was purchased by Orbital ATK in 1992 and modified as the Pegasus launch platform.With the push of a button in the Stargazer’s cockpit by the co-pilot, the rocket is cast free to fall for five seconds, dropping 300 feet below the aircraft while traveling at Mach 0.82. During the plunge, the onboard flight computer will sense the rocket’s separation from the carrier jet and issues a command to release the safety inhibits in preparation for ignition. The first stage solid-fueled motor of Pegasus is lit at T+plus 5 seconds to begin the powered journey to orbit. The rocket’s heritage includes deploying over 70 satellites since 1990 for NASA, commercial customers and the U.S. military.